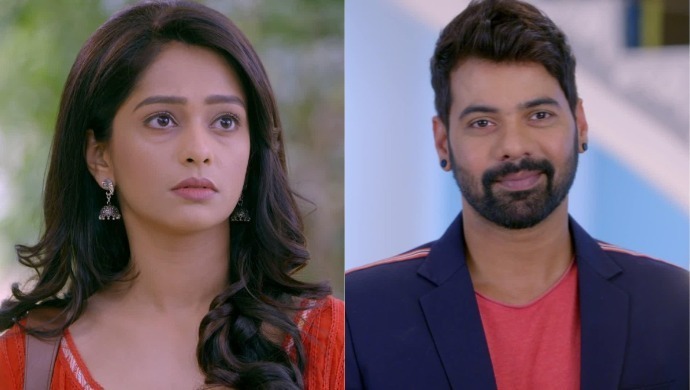 In the promo of upcoming Kumkum Bhagya episode, Prachi calls Abhi 'world's best father.' He then asks her mother's name. Will Abhi find out the truth? In the latest episode of Kumkum Bhagya, we saw that Prachi’s bags get stolen soon after she reaches Delhi. She follows the thief and reaches the venue of Abhi’s awards show ceremony. The guard doesn’t allow her to enter and pushes her away. Just then Abhi enters. In the promo of the upcoming episode, Prachi calls Abhi ‘World’s Best Father.’ Abhi tells her that nobody gets everything in life. His daughter Riya didn’t get a mother while she didn’t get a father. Abhi then goes on to ask Prachi her mother’s name.